Peripatetic. This is a word that we hope comes to hold deeper meaning for Sean Cummings. 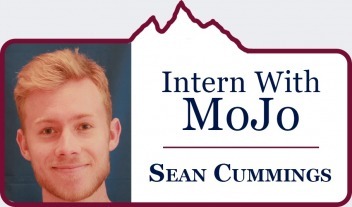 He is Mountain Journal's intrepid intern for the rest of the summer of 2018 and by the end of his tenure with us when he heads back to Walla Walla, Washington, we want him to reach as many corners of the Greater Yellowstone Ecosystem as possible. Sean, 21, will be a senior at Whitman College in the fall. Raised by humanities teachers at Midland School in rural Southern California, he grew up exploring 3,000 acres of oak woodlands and chaparral. After a stint at Stanford University, Sean says his love for the outdoors and passion for writing led him to study environmental humanities at Whitman. An aspiring environmental journalist, he hopes to continue writing about and exploring wild spaces after graduating. If you are a Greater Yellowstonean, it's likely that Sean will be passing near your community. Welcome him. He's being assigned to get to know you and so, in turn, you can get to know Mountain Journal better. To get you acquainted, we had this short exchange shortly before he spent the first half of the summer in Rome. MOUNTAIN JOURNAL: What do MoJo readers absolutely positively need to know about you? 1. I love trail running, burritos, and the color green—about what you’d expect from a college kid interning at MoJo, right? 2. I aspire to build and live in my own micro-shelter — maybe in a tree, maybe in the side of a hill, maybe in a converted bus. I’m not totally sure yet, but the fewer rooms, the better. 3. In general, I value experiences over material possessions. 4. Bill Watterson is one of my greatest heroes: about 50 percent of my vocabulary and much of my love for the natural world came from reading Calvin & Hobbes strips endlessly while growing up. 5. The most important person in my life is my sister, Emily. MOJO; You transferred to Whitman from Stanford. What do you like most about the move? CUMMINGS: Wow. I could name so many things, but if I had to pick just one I’d say the change in size. Stanford isn’t the most populous school out there, but it’s big enough — and busy enough — to lack intimacy. At Stanford I felt lost in a crowd of unfamiliar faces, all passing by like ships in the night, always rushing on towards the next item on an endless to-do list. My friends all had different schedules and lived on opposite ends of a campus with its own zip code, so I only got to see them about once a week. I ate way too many meals alone. Whitman doesn’t have these problems. Its smaller size means I run into familiar faces everywhere: in classes, in dining halls, in dormitories, on the quad. I can’t go anywhere or do anything without seeing people I know, which makes it super easy to forge close friendships. People here are still busy, of course, but it’s easier to be busy together. I never feel lonely at Whitman, and I never eat alone anymore unless I want to. MOJO: When you think about the "Greater Yellowstone Ecosystem," what comes to mind? CUMMINGS: Not long ago I’d probably have imagined stuff like erupting geysers, rainbow-colored springs, elk, bison, bears, and other “charismatic megafauna." I’d also have thought of the famous story of how reintroducing wolves revived the regional ecosystem. These things still come to mind today, of course, but in the past year I’ve learned a lot more about the complex context underlying those postcard-perfect images. 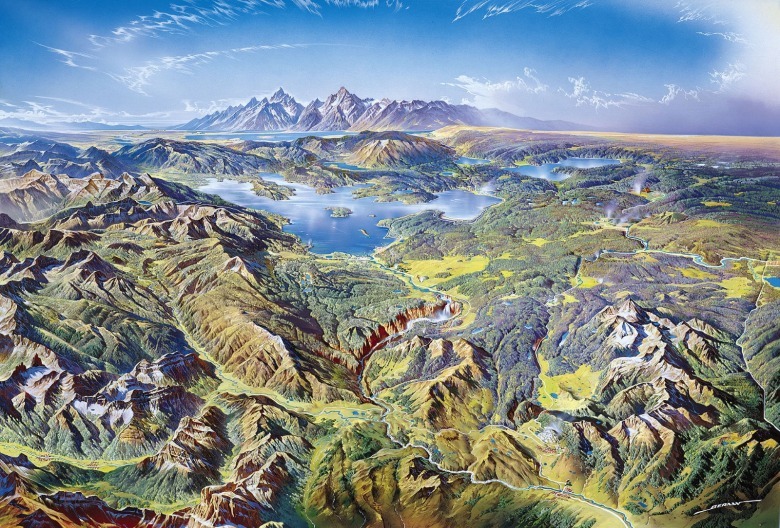 Today, I think also about the role of the Yellowstone supervolcano in creating those springs and geysers, the threat to species diversity as man-made development isolates the park from external ecosystems, and the fact that the wolf reintroduction actually might not have had as grand an impact as the media claimed. Having said all that, I’m still a stranger to the Greater Yellowstone Ecosystem. I'm sure many of my current conceptions of the place will get completely redefined before the end of the summer. the last stretches of truly wild country that remains and which supports a variety of solitude seeking species in addition to humans—become more relevant to most Americans of varied backgrounds who live in cities? CUMMINGS: Regardless of who you are or where you come from, everything you use and consume comes from the earth if you trace far back enough in the production cycle. At some point, someone diverted the water, harvested the food, cut down the tree, mined the minerals, or extracted the oil, and in so doing made an impact on a wild space that existed there in the first place. This is one of the biggest reasons why I think wildlands conservation should matter to city-dwellers in particular: it protects spaces where that sort of experiential, bodily contact can still happen, spaces to remind us not only of the inherent value of wilderness and of our impact upon it, but also of our ultimate dependency on it. More wild spaces get lost every year, at the same time that more and more people move into cities, making this sort of contact more critical than ever. I realize it’s still a challenge for many city-dwellers to get out into wild spaces, but limited access to wilderness is better than no wilderness at all. MOJO: If there's one animal you hope to (safely) encounter in Greater Yellowstone, which is it? CUMMINGS: It’d be awesome to see a cougar, especially because they’re so rarely encountered. Big cats emanate a combination of beauty, grace and power that commands respect in a way few other animals can, and it’d be transfixing to view one in the wild. Of course, I’d also flip to see a grizzly bear or a wolf pack.